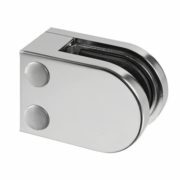 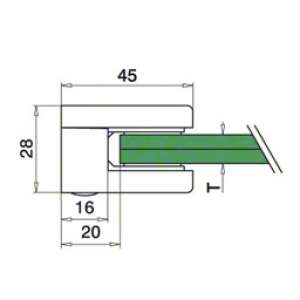 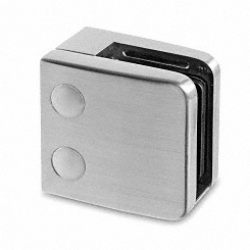 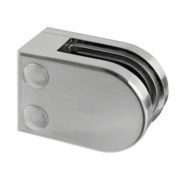 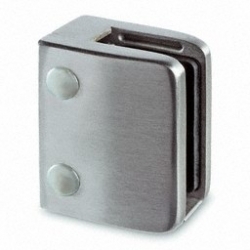 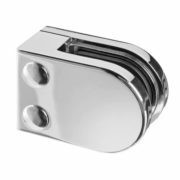 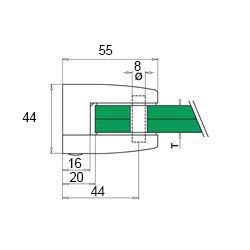 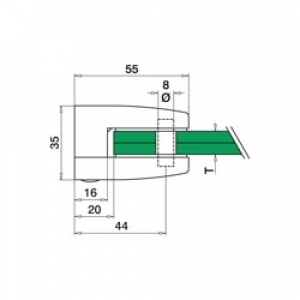 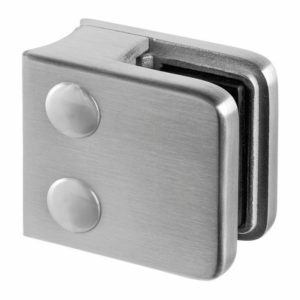 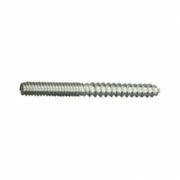 Another new addition to our range, 180 Degree connector, 316 grade Stainless Steel Suitable for exterior/interior use. 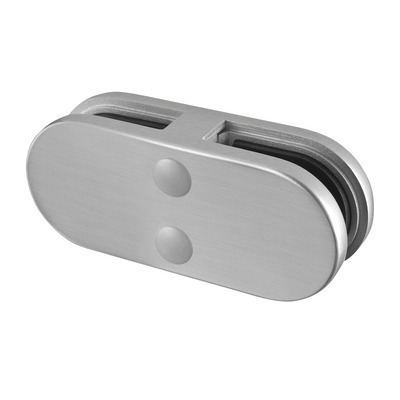 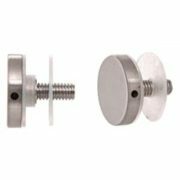 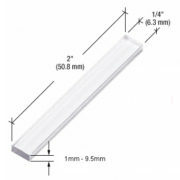 Suitable for 6 – 10mm glass. 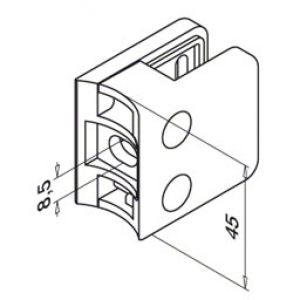 Gaskets included. 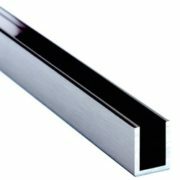 Please select glass thickness for correct gaskets. 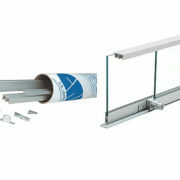 Complies fully with safety standard DIN/EN 12600. 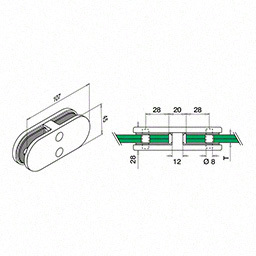 Safety pin extra (See related products). 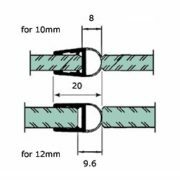 A 12mm hole is recemmended if using a safety pin 28mm from the edge of the glass to the centre of the hole.